Dive into the world of pinks with this stunning composition! 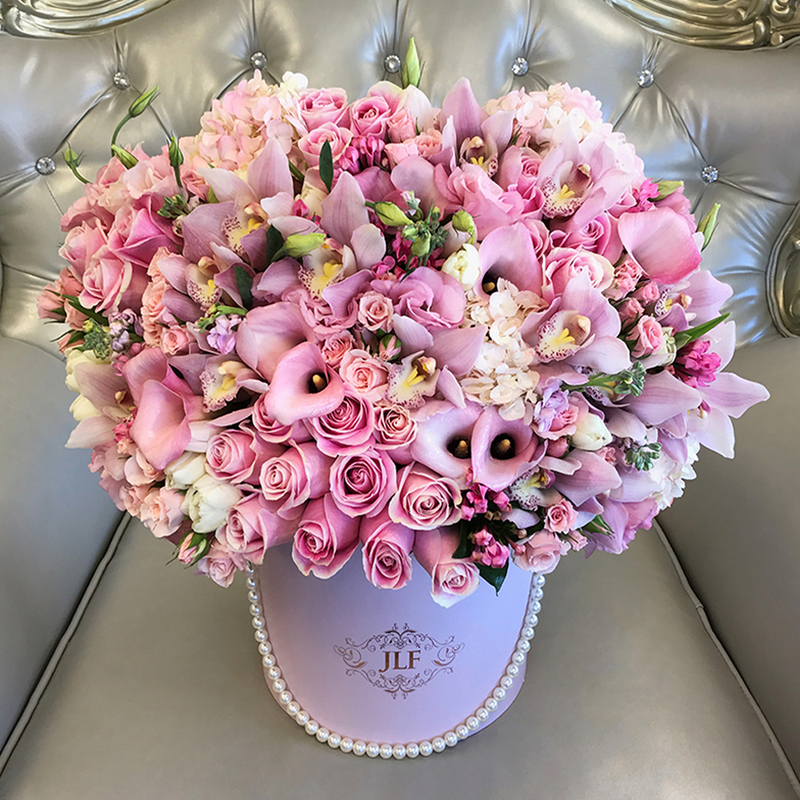 This lavishing arrangement consists of pink roses, hydrangeas, calla lilies, tulips, lisianthus and beautiful pink cymbidium orchids! The arrangement in the photo is in a medium size box.